The Lakers locker room must be a wild place. Rajon Rondo is one of the most honest guys in the league, something that’s never changed through his entire career — especially when talking to the media. Earlier this week, when rondo was faced with a question regarding the differences between himself and Lakers second-year point guard Lonzo Ball, he produced some very insightful answers. 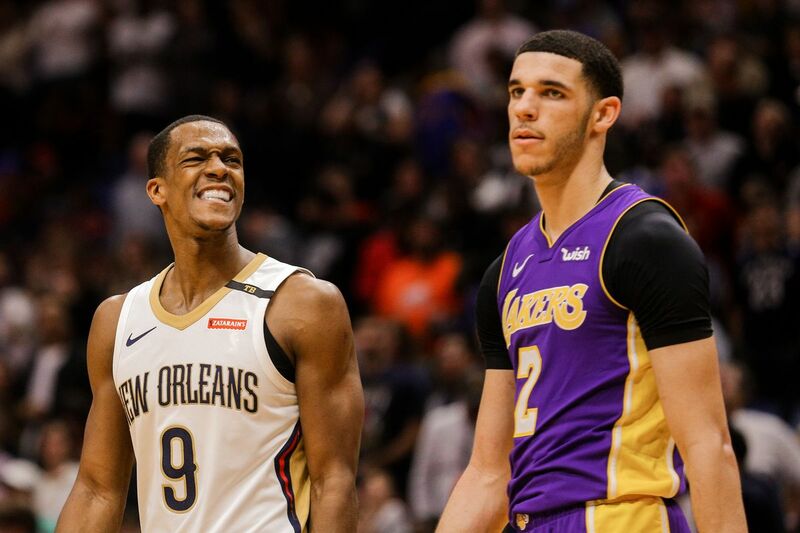 Rondo repeated a sentiment that many basketball analysts have preached throughout the offseason, as he said that both he and Lonzo are, or were, great rebounding guards, but that Lonzo has the potential to be even better on the boards and athletically because of his standing at 6’6”, with Rondo standing at just 6’1”. That advantage also helps him defensively, Rondo mentioned, and Lonzo showcased that ability last season when he averaged 1.5 steals per game in just 29 minutes. However, the best difference between two the guards that Rondo provided was that he’s “dark-skinned” while Lonzo is “light-skinned”. The Lakers are hoping for production out of both guards this year, and although they have stated that Rondo will be starting on opening night, they hope that Lonzo learns a lot from the vet so that he can be the starting point guard of the future. Just imagine what goes on in the Lakers locker room with personalities like Rondo, Beasley, Stephenson, Kuzma and Lonzo. My lord, the Lakers might just win the internet this year.